A bill that would have allowed public schools to use architects and engineers to do tornado safety assessments in public schools is probably dead for the year, despite the efforts of the state’s emergency management director. 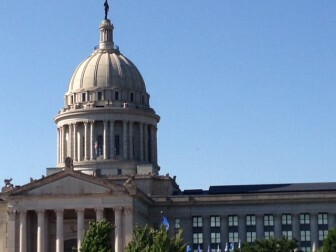 House Bill 1328 would bolster Governor Mary Fallin’s Safe Schools 101 program by providing free severe-weather safety assessments to public schools. State Emergency Management Director Albert Ashwood said the assessments would be conducted for his agency by private architects and engineers, who donate their time and earn continuing education credit. “The assessments would show school officials the best location in their school to shelter students in the case of severe weather,” Ashwood told Oklahoma Watch. Ashwood said his office has worked with Rep. Richard Morrissette, D-Oklahoma City, to develop the legislation over the past two years. However, as of April 21, the chairman of the Senate Judiciary Committee, Sen. Anthony Sykes, R-Oklahoma City, has refused to hear the measure. Thursday is the deadline for the Senate to act on House measures. In an email to Sykes’ office, Ashwood wrote that the Safe School program was a success, but his agency had received limited participation from architects and engineers due to liability concerns. Sykes’ district includes the Moore Public Schools. In 2013 a tornado ripped through the district destroying several schools, including the Plaza Towers and Briarwood Elementary schools. Seven children died, after being sheltered in a hallway at the Plaza Towers Third Grade Center. “It’s not on our list of bills that we consider to be ‘governor asks,’ bills,” Weintz said. Telephone calls to Sykes office were not returned. House Democrats gatthered to commemorate the passage of a huge education reform bill 25 years ago — and to insist that Oklahoma since has lost ground.